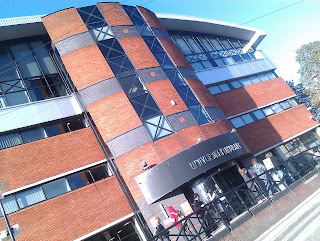 This is my original image of UCLAN's library building. 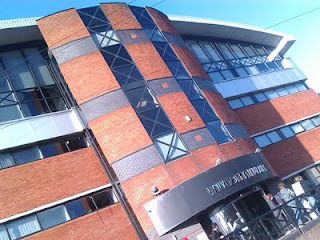 I decided to take a picture of the library as this is one of the busiest and most used buildings on the campus. As the building is quite large it difficult to capture the whole thing in one shot, I took the picture from the side to try and increase what could be captured. This is my 200 x 500 image. 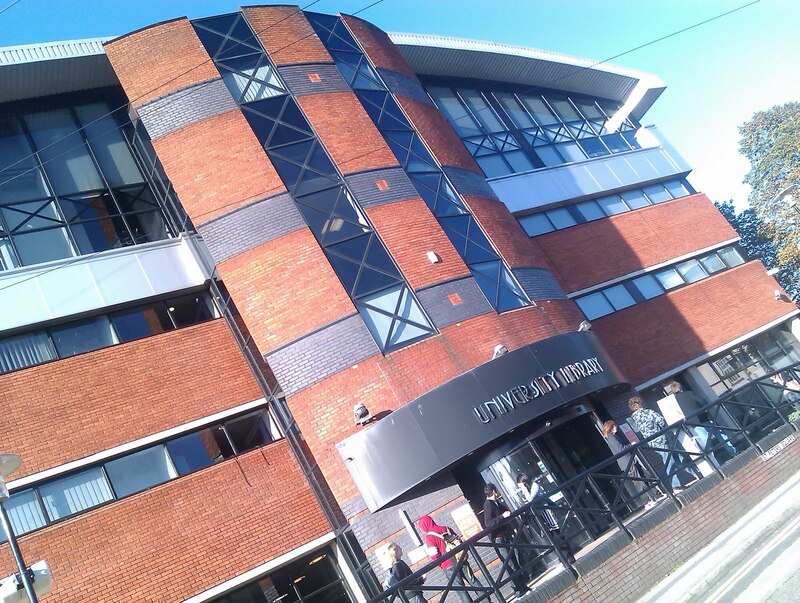 This image shows a clear picture of name of the building and also shows students outside - therefore creating a sense of student life. This is my 100 x 100 image. This image shows most of the building (from an angle). From this you can get a sense of the size of the building, also allowing you to still see the students. This 400 x 300 image. The largest out of the images, from this I have cut out some of the students to allow the top of the building to be shown. This image shows all of the building from top to bottton - so height is clearly visable here.